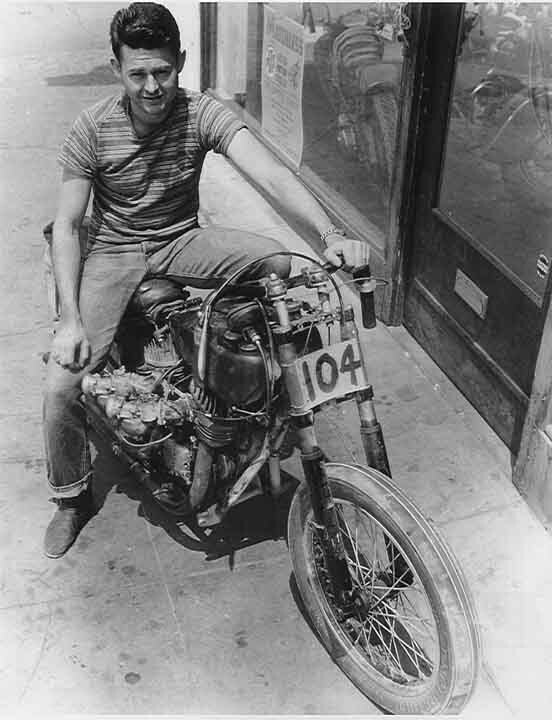 Max Bubeck sitting on his 135.58mph hybrid Indian Chief/Scout that he rode at Rosamond Dry Lake on June 27th, 1948. The Pop Shunk-built "Chout" is as lean and mean as a straight razor except for two big-assed carburetors that look big enough to pluck poultry. 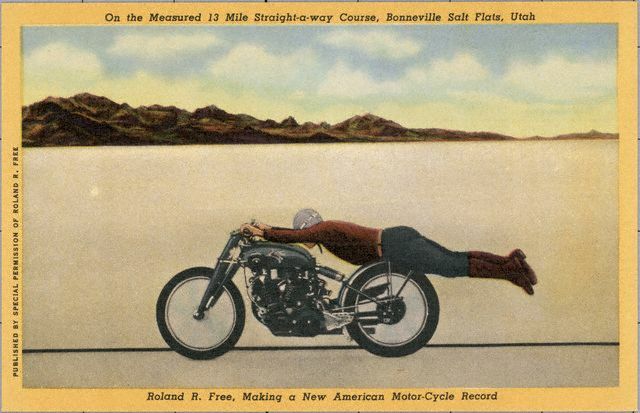 Bubeck's "Chout" still holds the record for the world's fastest unfaired Indian motorcycle. 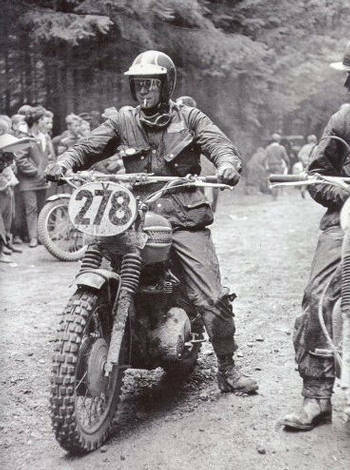 “Mad Max” Bubeck made a name for himself dominating the enduro scene from the 1930s to the 1970s. 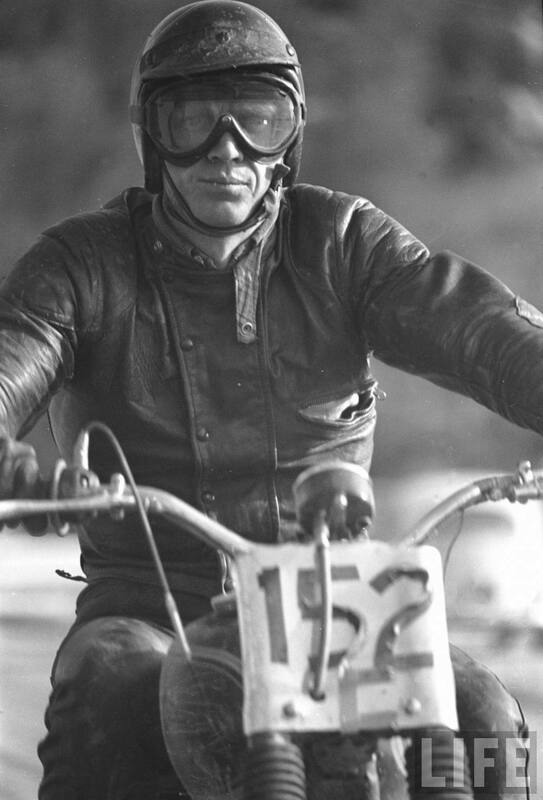 Bubeck was also a speed racer & builder who in June of 1948 rode his Indian “Chout” (an Indian Chief 80 c.i. 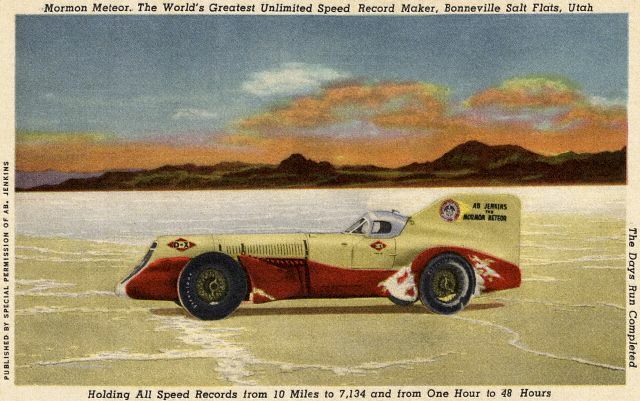 engine jammed into the smaller & lighter Scout frame) to a record speed of 135.58 mph on the Rosamond Dry Lake north of Los Angeles. 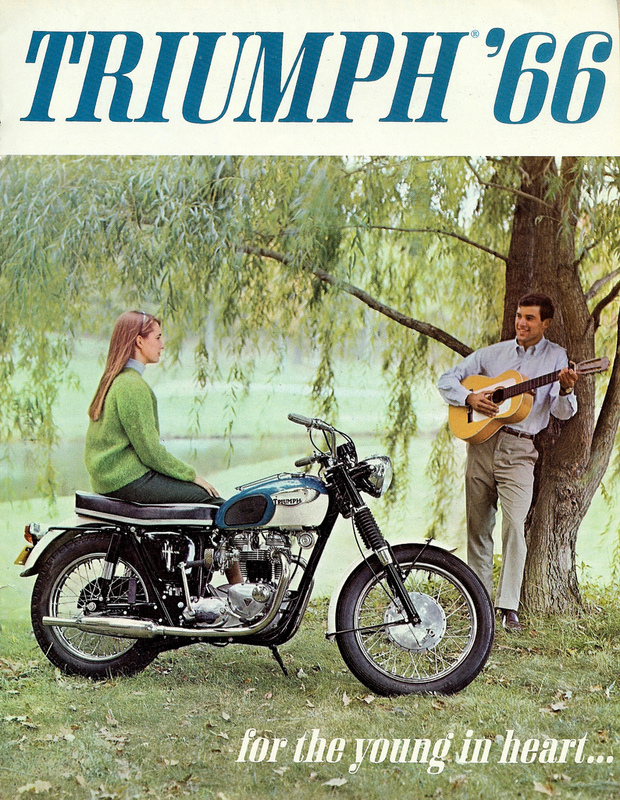 It’s a record that still stands for an unstreamlined, normally aspirated 80 cubic inch displacement Indian motorycle. 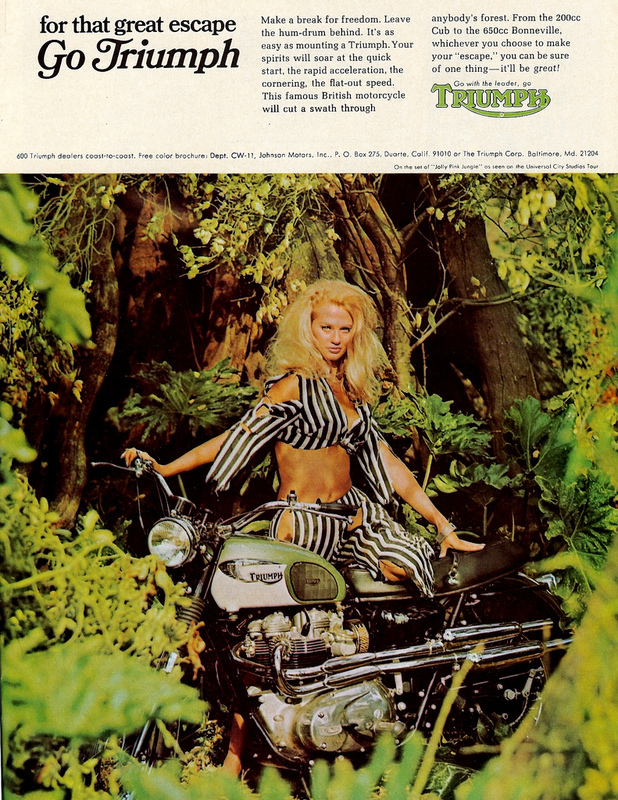 After retiring from competition in the late-1970s, Bubeck continued to be active in motorcycling, doing everything from restoring classic Indian motorcycles to sponsoring antique motorcycle meetings. 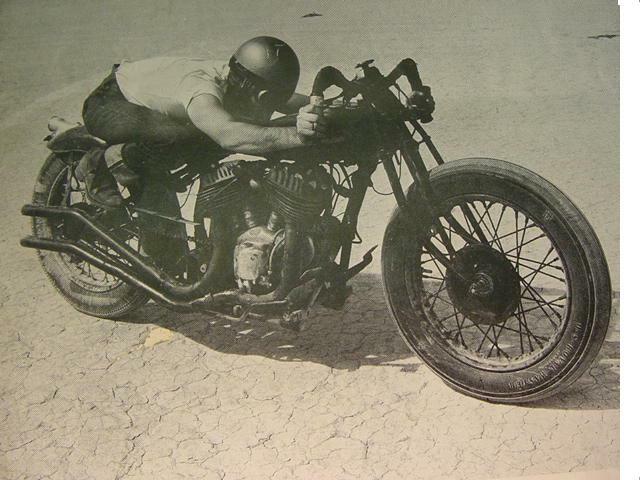 Mad Max Bubeck on his famous & record setting Indian "Chout". 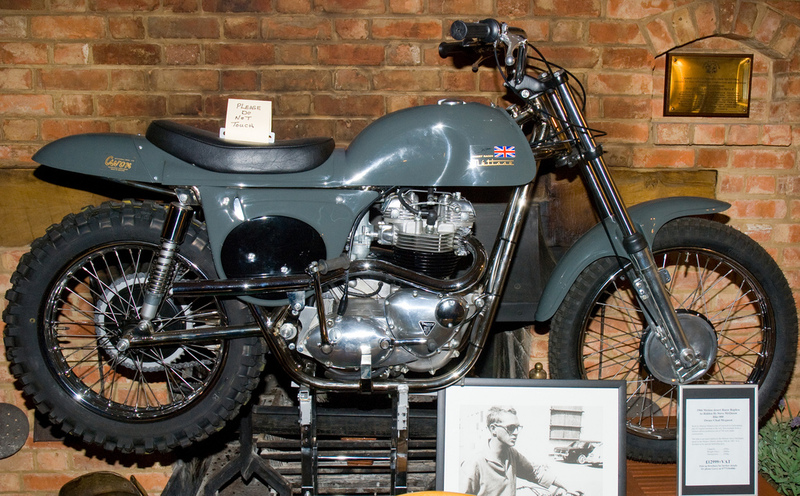 One of Bubeck’s most popular wins came in 1950 aboard the new Indian Warrior. 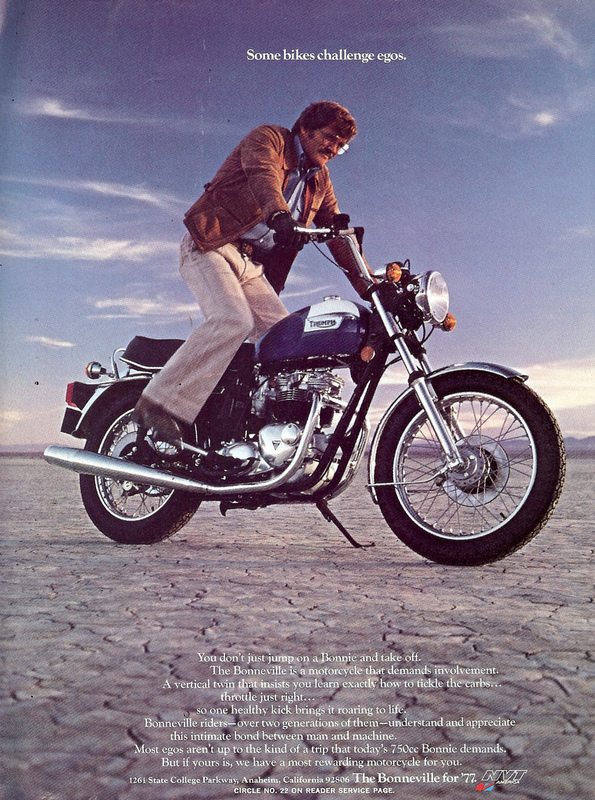 That year, he won the Cactus Derby, a long-distance desert race and mountain race originated in Riverside, California. The race was unique in that it started at midnight. 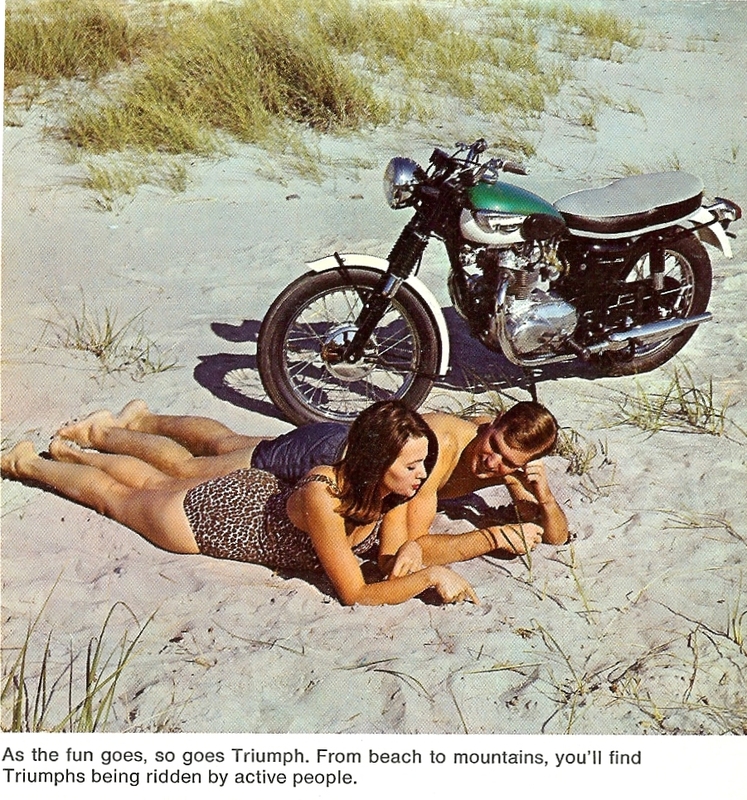 That year, Bubeck’s bike lost its lighting barely an hour into the race. He managed to continue by riding with other riders and using their lights. 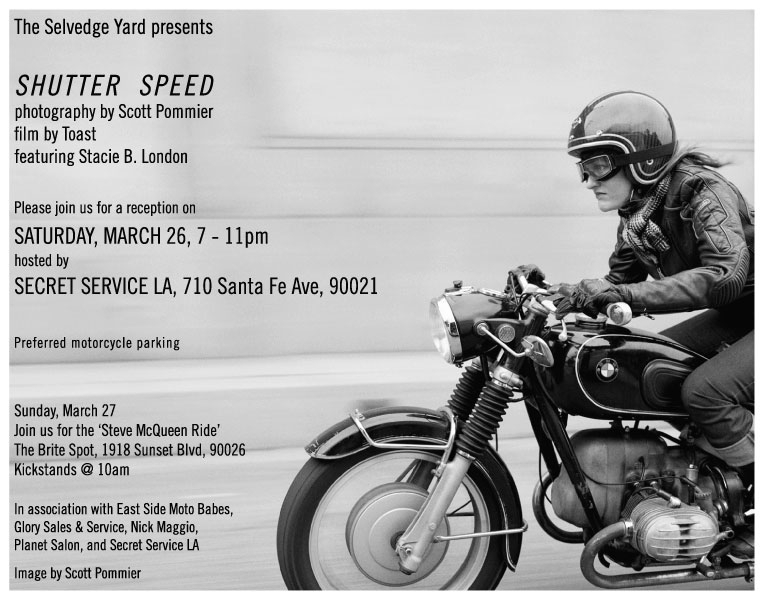 A few times he lost touch with the other riders and rode in complete darkness. In that same event, a long, slow-moving freight train was blocking a crossing. Bubeck sped ahead of the train and crossed the tracks so as to not lose too much time. Despite the darkness, the trains and riding a supposedly uncompetitive bike, Bubeck still managed to win the event. It went down as one of the most memorable victories in his career.